Mix milk, cardamoms and rice very well. Take a pan and boil milk mixture on low flame for 30 minutes. Then Add sugar and all nuts paste to it and cook the batter for 15 minutes while stirring continuously. Now add mawa and cook for another 5 minutes. 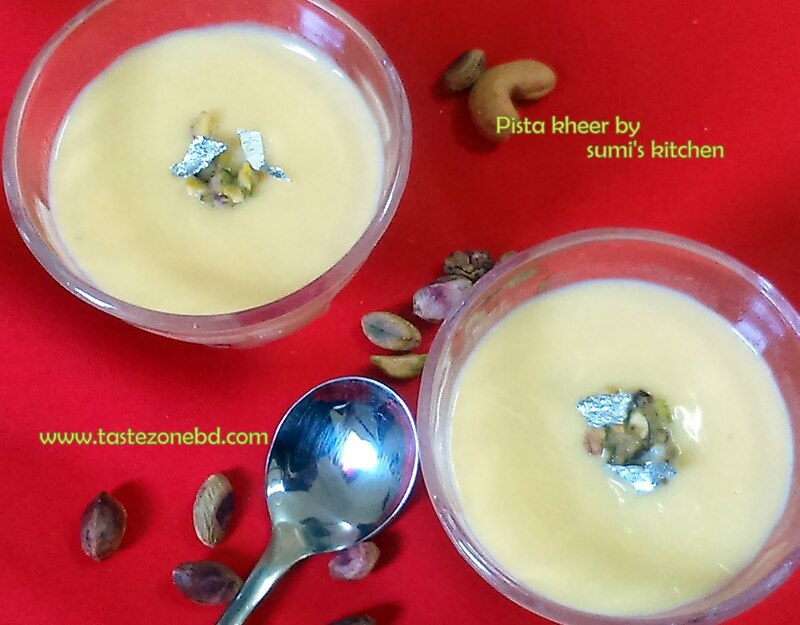 Pista kheer is ready. Garnish with nuts and Serve hot or cold.